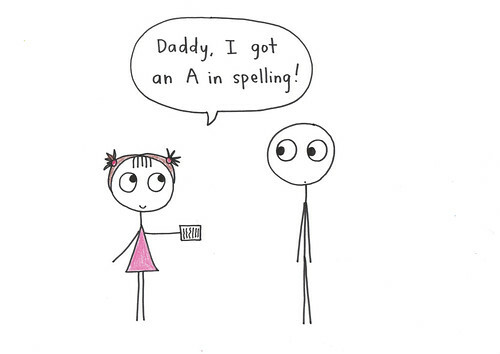 Daddy, I got an A in spelling! You fool! 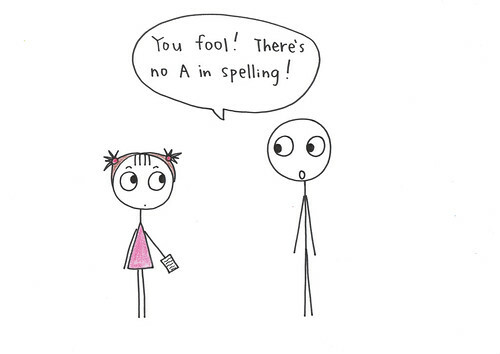 There’s no A in spelling! From Friday Joke on show 1314.